An Imperial Beach resident is asking for the public’s help in identifying a man caught on camera taking his bike used for physical therapy. David Franco has a security camera installed outside of his home, which spotted the alleged burglar Sunday. 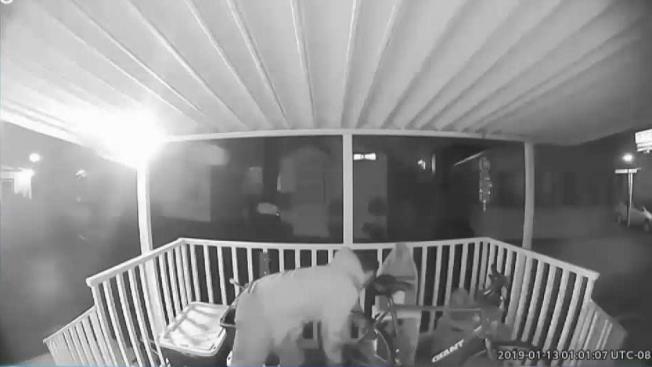 Footage showed the suspect walking up to the front porch in the middle of the night and grabbing the unlocked bike. The bike is valued at $400. Following a motorcycle accident last year, Franco had been using that bike every day as part of his recovery. The accident left him with multiple injuries and, as a result, had to have surgery on his knee, arm, and ear. Doctors recommended he use an indoor exercise bike for nine months. Franco believes the suspected thief is not some random stranger. He filed a police report, but there are still no signs of his bike. In the meantime, Franco bought a lock in case he gets his bike back.